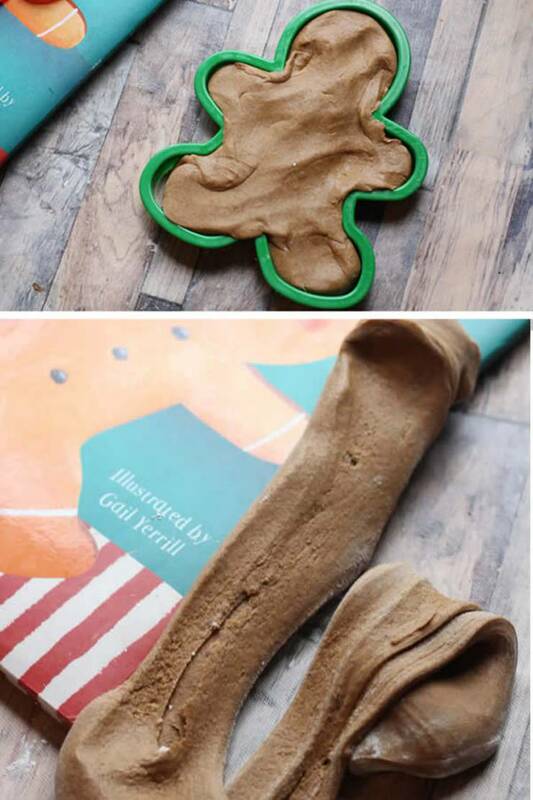 AMAZING Edible Gingerbread Slime! 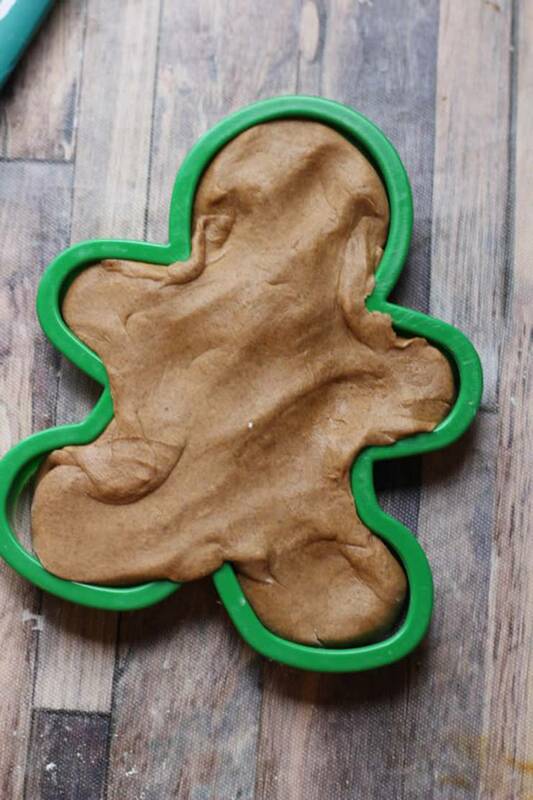 You are going to love this homemade gingerbread slime that is edible. 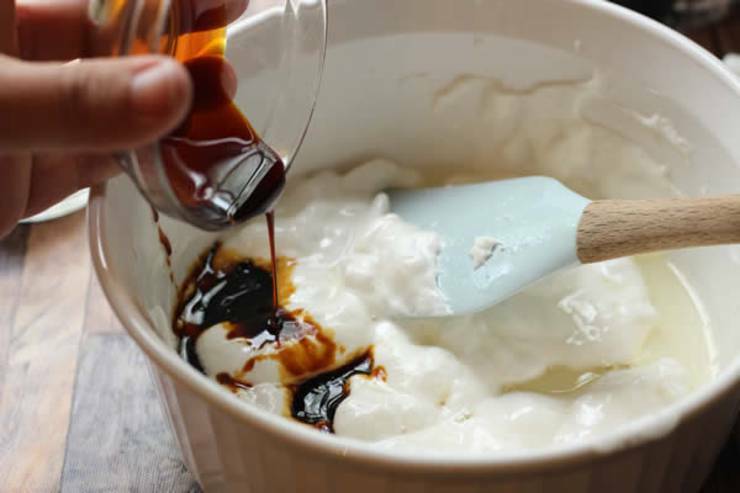 A super EASY slime recipe that is great for Winter Activities with the kids. 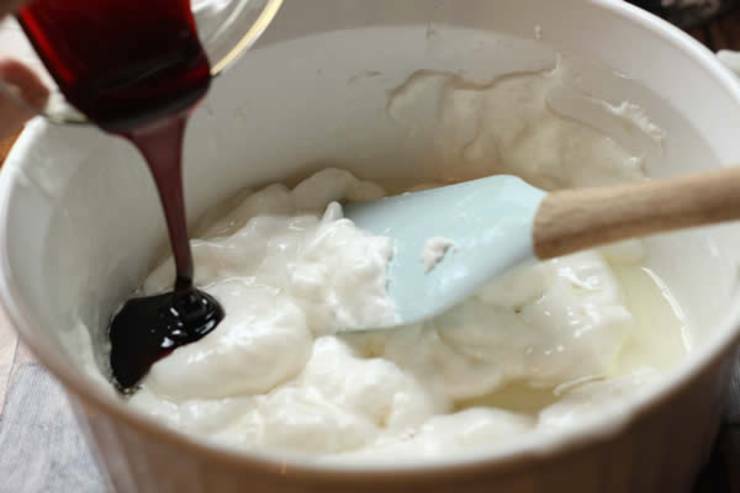 Learn how to make slime that is safe for kids of all ages – since it is edible – it is a NO GLUE slime. A fun safe slime that kids love to play with – it is stretchy and great to poke and play with! If you are looking for DIY projects to put on your list this Holiday season add this one! This makes a great Christmas craft for kids and it will keep them busy too! It is also the perfect Holiday sensory activity or sensory play for babies, toddlers and kids of all ages. You can also use this slime as an activity for a Christmas theme party – set up a slime making table. You can also use as party favors or gift – put in mason jar for a gingerbread mason jar gift. 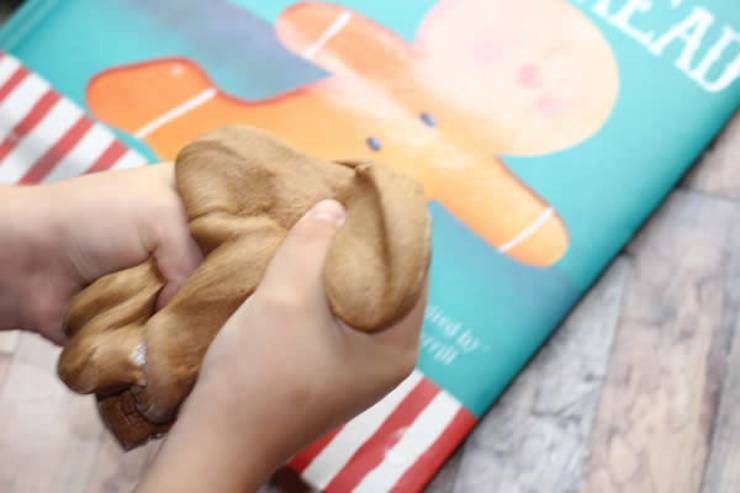 This slime smells and tastes just like fresh baked gingerbread from the oven! 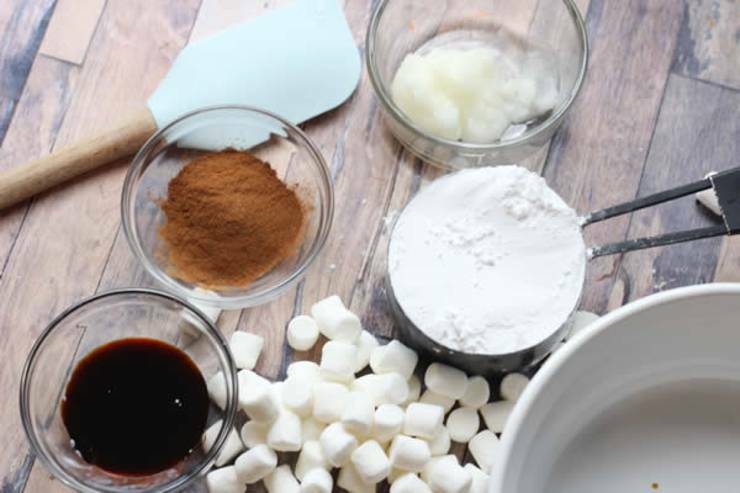 While it is a ton of sugar you can rest easy knowing that it is totally edible for the kids. 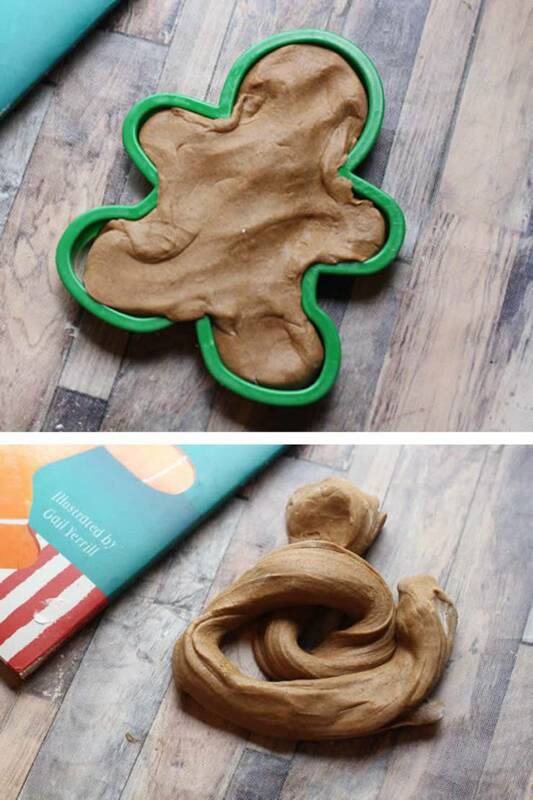 It makes a great homemade play activity for the holidays that is really a cross between a play dough and slime. 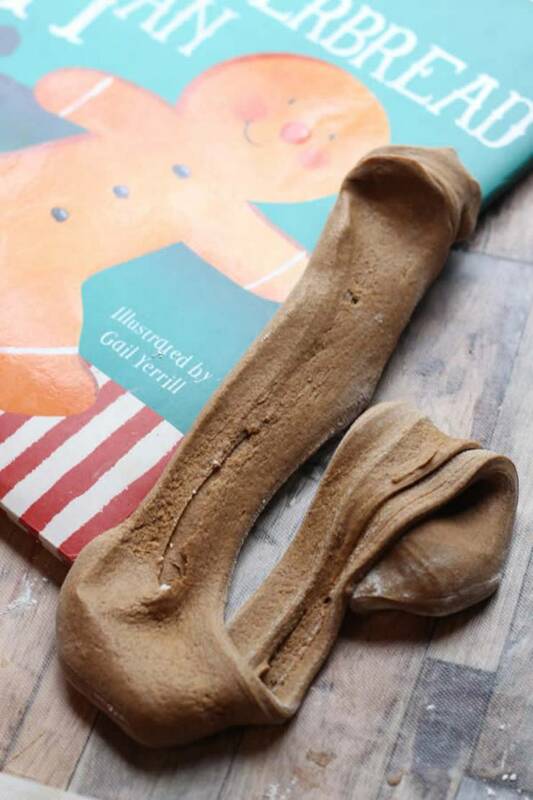 You can let the kids play with their edible slime while reading the classic story The Gingerbread Man, and you will be parent of the year! 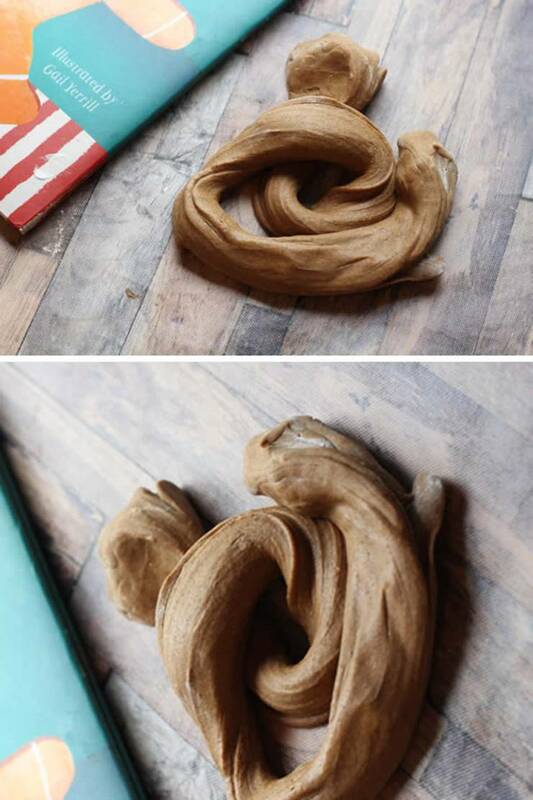 Let’s get started on this homemade DIY edible gingerbread slime! For More Great Holiday Slime Ideas Check These Out! second increments, stir frequently until melted. Mine took less than 40 seconds. Quickly stir in spices and molasses until everything is mixed well. sticky. I used my entire cup. smooth and still fluid but no longer sticking to your hands or table. 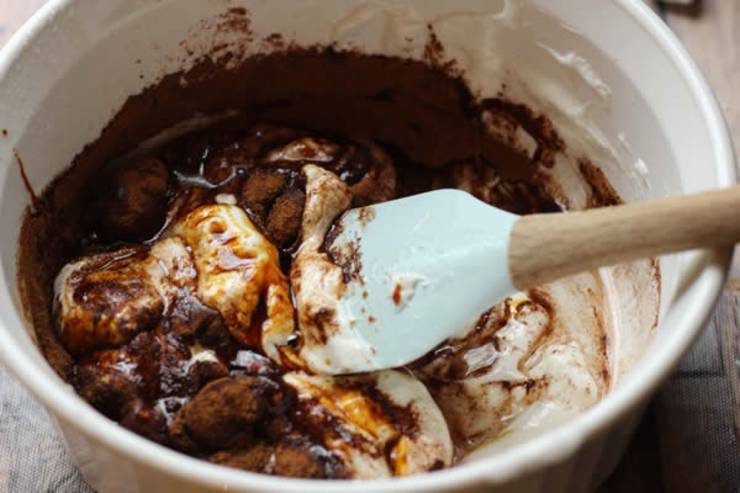 Place mini marshmallows and coconut oil in a glass bowl. Heat in microwave in 20 second increments, stir frequently until melted. Mine took less than 40 seconds. 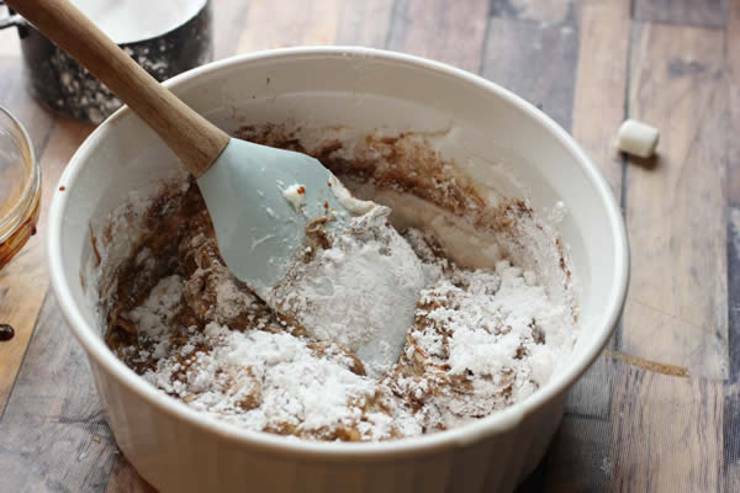 Begin mixing in powdered sugar ¼ cup at a time until your mixture is no longer sticky. I used my entire cup. 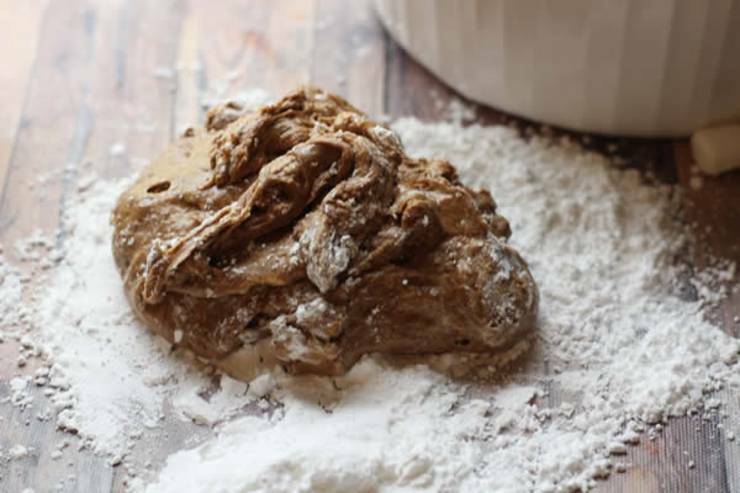 Add some powdered sugar to your table surface and knead the slime/dough until smooth and still fluid but no longer sticking to your hands or table. This mixture will not keep long term well, it is best played with and tossed or refrigerated for no longer than a couple days. 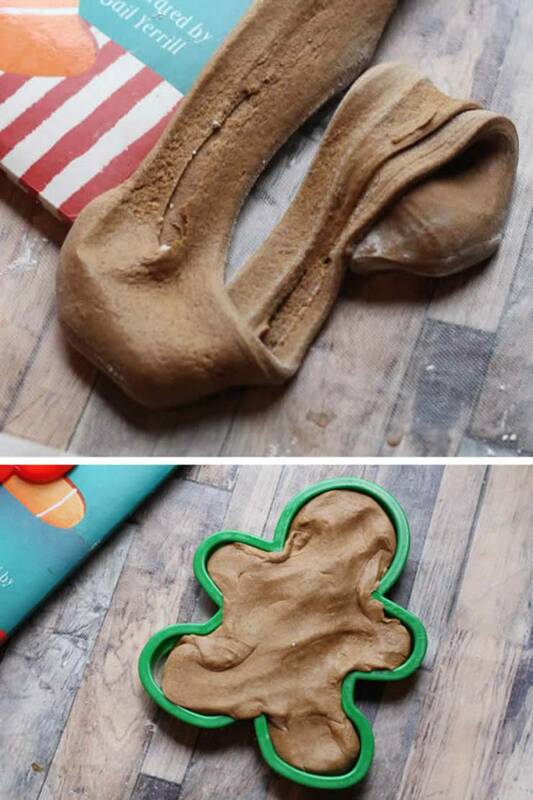 How was this gingerbread slime tutorial? So simple and fun! I like making edible slime as it is something different from the same slime recipes with borax or without borax. No need for contact lens solution or liquid starch – just simple ingredients you might already have at home. 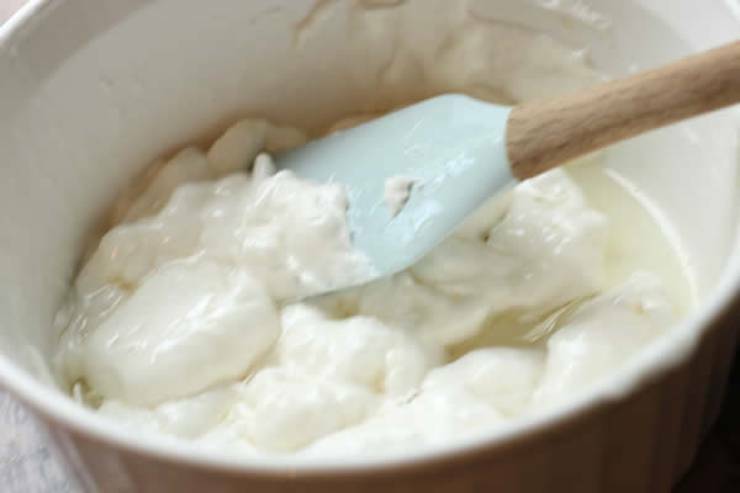 Add this slime to your Christmas craft list and you won’t be disappointed. If you need more ideas for slime DIYs you can check out Youtube slime videos – look at Karina Garcia slime videos and or Gillian Bower for the best slime tutorials and different ways to make slime. And for even more Christmas slime you can check out Pinterest and see: DIY Christmas slime, Christmas slime recipe, Christmas slime gift ideas, Christmas slime party, Christmas slime for kids, how to make Christmas slime, easy Christmas slime,Christmas slime jars and more. I hope you enjoyed this edible gingerbread slime – Happy slime making!